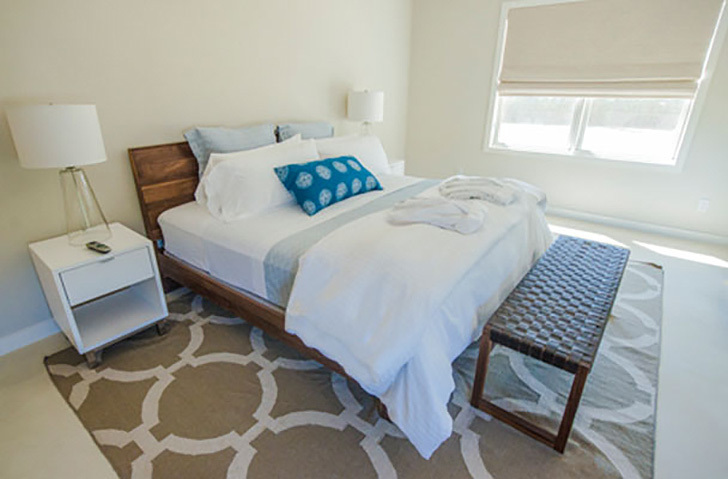 As Room & Board fans, Liz and Eric outfitted their beautiful rooms with some of our modern pieces. Take a look. One of the guest rooms features our Reed bench and Copenhagen nightstands. 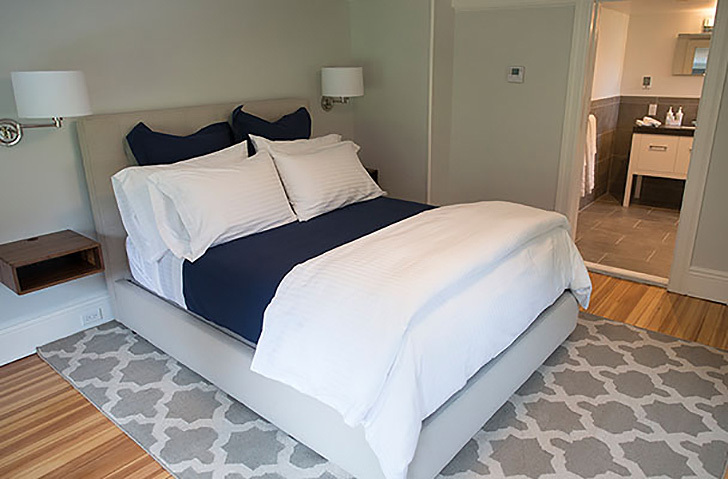 Another guest room features our Avery bed. 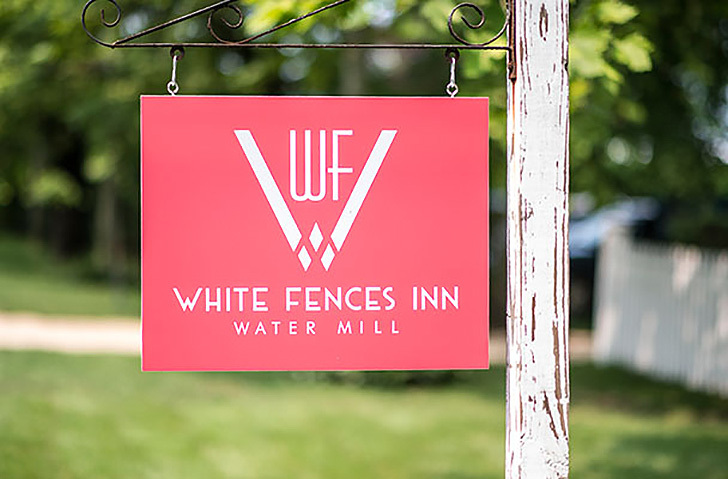 We caught up with Liz, who’s participating in our Hamptons open-market style event at Room & Board Chelsea, to find out more about what inspires her and how White Fences Inn came to be. How did you end up in the Hamptons? When we worked in the “corporate” world, we had an apartment in New York City and a second home home in East Hampton. What inspired you to start an Inn? The movie Julie & Julia, and seeing how Julia Child transformed her life. In the movie there was a scene with the Barefoot Contessa, Ina Gartner, who happened to be sitting behind us in the movie theatre in East Hampton, and remembered how she had also transformed her career. I told my husband I was inspired by their recreation of themselves in careers they weren’t familiar with, so we came up with the idea of owning an upscale, contemporary inn. With the recession hitting our then-industry (wholesale men’s apparel), we knew it was time for a change. Oh, and the two martinis also helped getting our creative juices flowing! Blogs focused on cooking, style and home decor. Meeting new guests and welcoming back returning visitors. It makes all our hard work so rewarding. It’s not easy, but I’d choose Tuscany. 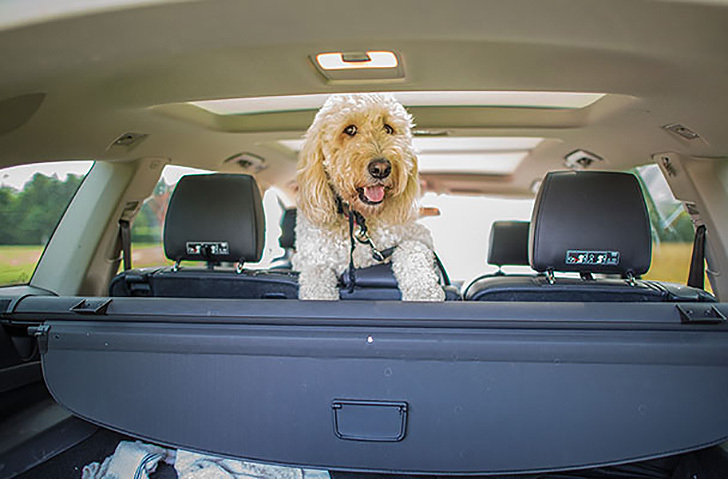 Our Golden Doodle, Bailey (pictured below). 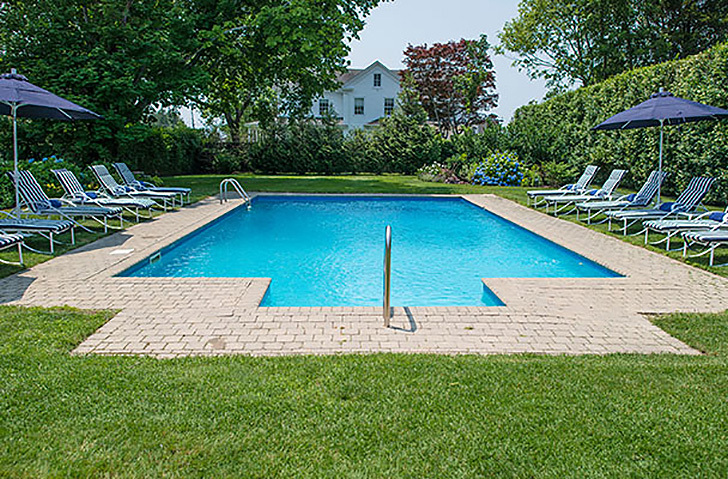 Relax deck-side or swim laps in White Fences Inn’s picturesque pool. 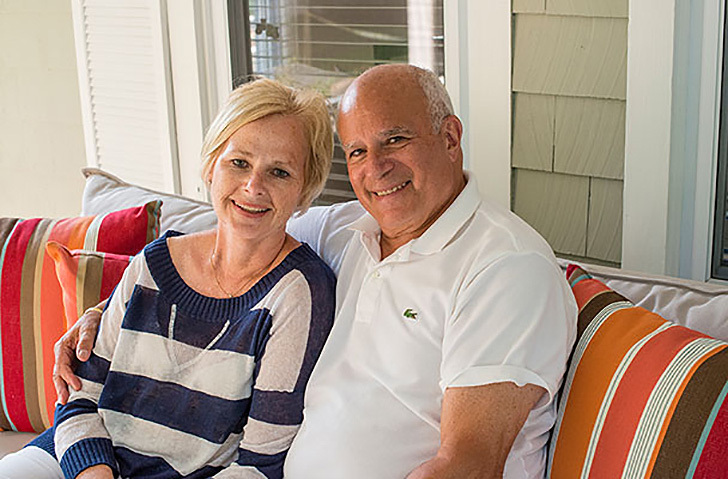 Thank you to Liz and Eric for sharing stories about their beautiful inn. We can’t wait to visit some day!